This week we are showcasing Penny Black Products. You don’t have to use them for the challenge but if you have them we would love to see them used. 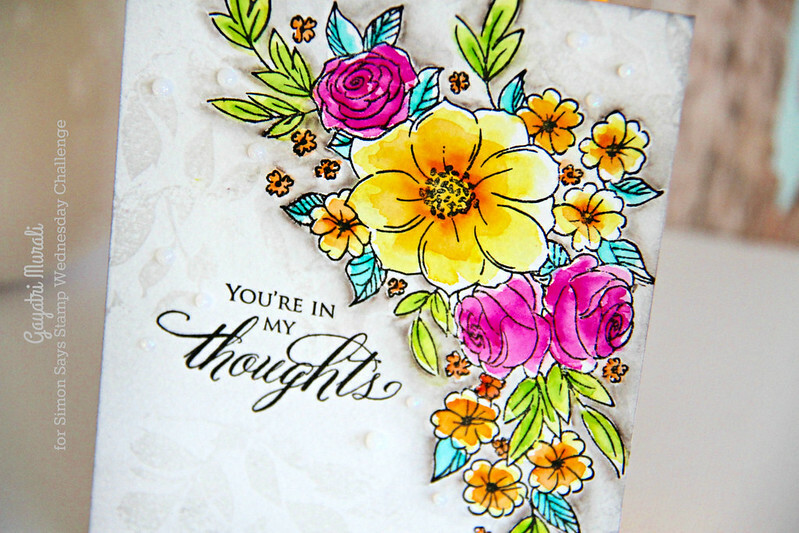 I have used Penny Black Flower Cascade stamp set as my focal point. I stamped the image on watercolor paper using Versafine Black ink. Once the ink is dried, I loosely watercoloured the image using Zig clean clolor brush pens. I also watercoloured the background using grey watercolor pen. I wanted to add texture to the background as otherwise it looked very bland! To add texture, I randomly stamped Simon Says Stamp Leaves background stamp using Fog dye ink. Then used Hickory Smoke distress ink to sponge the edges lightly. 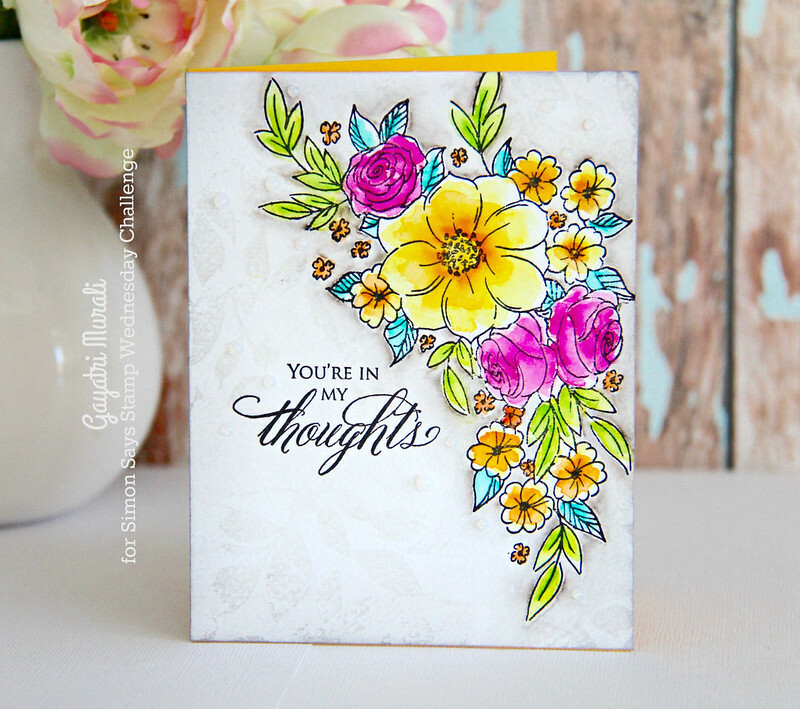 The sentiment is from Special Thoughts stamp set also from Penny Black. Finally embellished with Novo white Blizzard drops. This is stunning ! The background looks amazing and really sets it off so well. Stunning colors, Gayatri!! Love this bright and happy card!